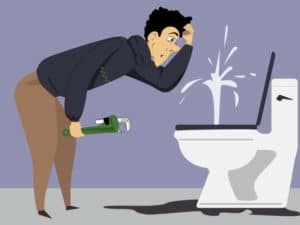 Residential Plumbing vs Commercial in Orange County - What is the Difference? Residential Plumbing vs Commercial – What is the Difference? Many people don’t realize that there is a difference between residential and commercial plumbers. They often think that one plumber is much the same as another. However, there are a few differences between these two types of plumbers. Our company offers both residential and commercial plumbing services and we also provide a 24-hour emergency service to all of our clients. Below are a few aspects that differentiate residential or home plumbing from commercial or business-related plumbing. Most residential plumbing structures will consist of two floors, while commercial plumbing jobs will involve work being done on several different floors. Houses have been designed and constructed as single functioning plumbing buildings, while many commercial properties will share one centralized system that gets shared by a number of different users. Commercial properties will also contain far more toilets, sinks and drains than residential homes, which means that their plumbing setups will be far more complex than those found in homes. Another distinct difference between residential and commercial plumbing will be the size of the job being done. Scopes of work for commercial properties will be far larger than those being planned for residential homes. As a result, it is essential for the plumbers doing to the work to have an extensive knowledge regarding industrial plumbing setups and systems. For instance, in office blocks, customers and employees will use bathroom facilities, which places far higher demands on the plumbing setup. In addition, plumbing regulations and codes will be different to those required for residential plumbing projects. It is essential for plumbers to have experience and knowledge of the required codes before starting any work in residential or commercial properties. In most cases, plumbing problems experienced in residential properties will not be overly complicated to deal with or differ much. However, owing to the fact that commercial plumbing setups are more intricate, the range of issues experienced will differ significantly. As a result, it will take far more time and experience to locate issues being experienced in commercial buildings. In addition, commercial plumbers will have to know how their proposed solutions are going to affect an entire building. Allow our team to cater for all of your plumbing requirements. We offer a 24-hour emergency plumbing service as well, so in the event of anything going wrong, you can contact us at any time of the day or night to have it repaired. Our plumbers are up to date with regards to all local Orange County plumbing regulations and codes. Regardless of whether you need to have a drain unclogged or you need a full commercial plumbing project to be completed, our team will be able to assist you. Most people are under the impression that the saying, “Out of sight, out of mind” applies with regards to plumbing systems and fixtures as well. However, until such time as your toilet overflows and water pours down your stairs or you wake up to find that your basement has backed up with sewerage, you won’t realize just how important it is to have an efficient plumbing system in your home or commercial property. Although all plumbing problems can create significant inconvenience, our team is here to assist you and reduce the amount of difficulty you experience as much as possible. In the event that you experience a plumbing problem or a serious plumbing-related emergency, all you need to do is contact us right away and our team will ensure that everything is attended to as quickly as possible. Our efficient team of experienced plumbers is on hand to address and rectify any plumbing problems you may be experiencing. Our vehicles are extremely well equipped, meaning that most problems will be able to be attended to while our plumbers are still on site – they will not have to rush off to look for replacement parts or fixtures and waste precious time while excess water may be causing damage to your home and possessions. In fact, our team specializes in providing emergency plumbing services. 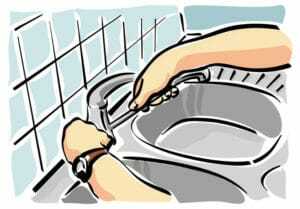 Our team is able to repair and replace faucets and all other bathroom fixtures such as sinks, tubs and toilets. If you need any of these fixtures repaired or replaced, get in touch with our professional team today. We are also able to attend to blocked drains and broken pipes when required. The level of knowledge and experience that our plumbing team has goes all the way through to your basement area. We are able to detect issues such as foundation leaks and defective sump pumps, while also attending to matters such as installing and maintaining heating systems and dealing with drainpipe problems and water supply pipelines. Have you got an extremely slow or clogged drain that no other plumbers have been able to rectify? If this is the case, our team will be able to tackle this challenge head on and resolve it for you as quickly and efficiently as possible. Some of the drain-related service offerings our team can provide you with include leak detection, hydro jetting, drainpipe bypassing, drain replacements, drain cleaning and maintenance. Our experienced plumbers are able to perform fixture repairs and replacements on faucets, sinks, garbage disposals and many other plumbing-related items. Regardless of how large or small your kitchen plumbing issue is, our plumbers will be able to assess it and rectify it, ensuring that inconvenience is kept to an absolute minimum for you and your family. Not all property owners realize that their deck and garden areas require plumbing repairs and maintenance from time to time as well. 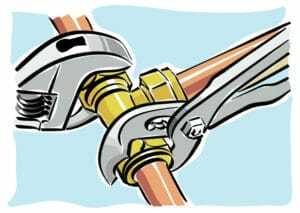 If you have outdoor faucets that are leaking or a sink in your outdoor entertainment area that has become clogged, we will be able to perform the necessary repairs and maintenance. Our team has also been extensively trained and they are highly experienced when it comes to cleaning and maintaining septic tank systems. Although California enjoys a warm climate for most of the year, there are sometimes cases where unexpected climate changes can catch homeowners off guard. This can result in pipes freezing shut or even bursting from time to time. Even if there is a hairline-sized crack in one of your home’s water pipes, it can result in you losing up to 200 gallons of water per day. If you live in a hard water area, there is a strong chance that water pipes can become scaled up in little to no time at all. Our plumbers are able to install various types of water softening systems to help prevent this from happening. Good plumbing systems are a crucial part of our everyday lives. Although you cannot see the pipes and drains that ensure an efficient plumbing system, it is essential that these be maintained regularly. If you would like to find out more about how you can keep your home or commercial plumbing systems operating as efficiently as possible, get in touch with our friendly and professional team at OC plumbing Pros right away.